These are flat, single layer polyester lanyards that come with customized sections of printed PVC decals. Have your own design custom molded, and created with a large range of standard fittings. All our duoflex lanyards can be matched to an exact pantone color on the PVC sections & material. We also have the ability to create 3D PVC sections with up to 4 colors in a fully custom cut shape to fully outdo every expectation. 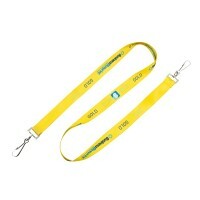 Duoflex lanyards are great for businesses that really want to stand out from their surroundings. 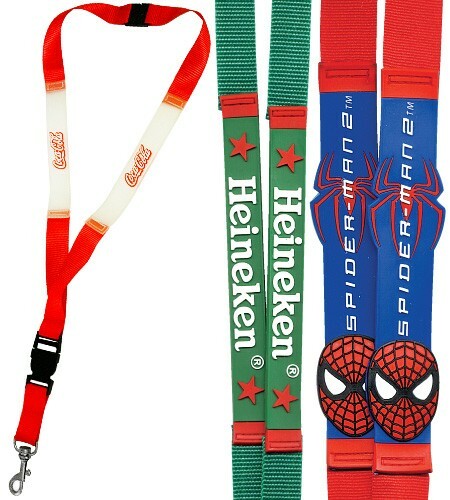 Toy manufacturers usually give these lanyards to retail staff to promote a new product and various department stores also love these lanyards for their stand out design! 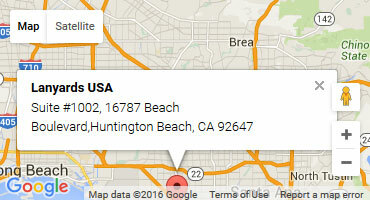 They are also excellent for selling as a souvenir item from an event or tourist attraction. 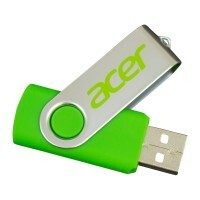 Because of their awesome design and high perceived value, they make excellent fundraising items. Charities can buy these lanyards from us for a low price and resell at a profit to raise funds for their cause. Customization according to the business needs. Colors that will match up to Pantone standards. Decals and cutouts that can be made according to your brand. Versatility of use – for employees, as mementos and so on. If there is one product that will suit all the above requirements, while delivering plenty of other benefits, it is the duoflex lanyard. 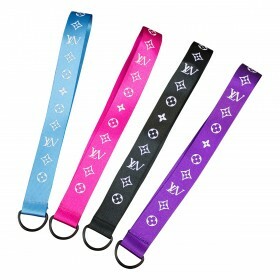 Who should choose duoflex lanyards? 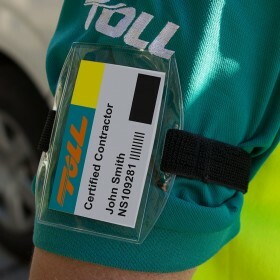 These lanyards are extremely versatile in their functions and therefore can be chosen by business organizations that want to stand apart as far as their identification means are concerned. 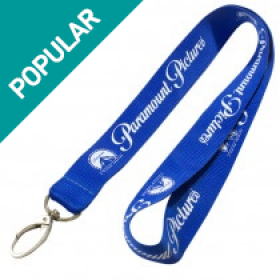 Toy manufacturers or retailers can give these duoflex lanyards to their employees or even as mementos to customers. You are guaranteed to find a great use for these lanyards. Brands that want to make an impact at tourist locations can also benefit from using this product. One of the biggest reasons why duoflex lanyards are so popular is because they allow you to a fix a customized decal or cut out to the strap. So, you can choose to have a decal in the shape of your new product, or even a favorite animation character or toy. Considering that duoflex lanyard manufacturers also give you a vast range of colors to choose from, you can certainly create a product that is extremely interesting. These lanyards can be used by corporations, small businesses, parties, events, and more. Although they are great for toy manufacturers and stores, they’re also great for sports stores or teams, bridal services, and more. For example, a bridal service can have the PVC section shaped into a wedding cake, and a sports store can have them cut into a baseball or football. They can even be used as party favors for big parties, such as a bridal party, baby shower, birthday party, and more. A wedding shower can provide these to everyone in the bridal party with the PVC shaped a wedding cake and the wedding date printed on the length of the lanyard. Because this is a highly customizable item, our design team will produce a digital proof of the final item prior to production. This ensures that, A: You get the exact product you are going to be happy with prior to spending a single cent on production, and B: Makes the ordering process incredibly simple for you. Eliminating the need for concept drawings and having to hire a designer can really slow you down when you’re trying to get your items for a deadline or event.